The Prezzee Best Restaurants digital Gift Card gives you the opportunity to give the ultimate Gift - the gift of indulgence. With a Best Restaurants Gift Card bought via Prezzee, you can give the gift of a thoughtful dining experience for all types of foodies. Best Restaurants Gift Cards are a perfect gift idea for any occasion including birthdays, Christmas, gifts for him, gifts for her or couples, baby showers, Mother's Day, Father's Day, anniversaries, weddings, corporate incentives and more. Easy to buy, send and redeem, a Best Restaurants Gift Cards on Prezzee allows the freedom to choose from 300+ participating restaurants and dining experiences. The Best Restaurants Gift Card allows your giftee to choose from restaurants across Australia including the gourmet to the every day to create their perfect dining experience and discover all the top award-winning restaurants, cheap and cheerful locals, wine bars, cooking schools and tearooms. The Best Restaurants digital Gift Cards are bought online via Prezzee and emailed straight to the inbox of your recipient. You also have the option to include a personalised message to send with the gift voucher to acknowledge the occasion. 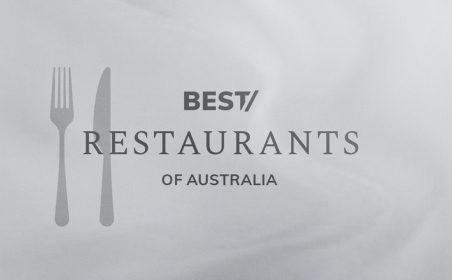 To find out where Best Restaurants card can be redeemed go to www.bestgiftcards.com.au. The Prezzee Gift Card ensures that your present will never be lost or accidentally forgotten. As Prezzee was created for digital gifting, you can select and purchase your gift on our website via our secure payment system. Even if you have left your shopping the very last minute, you can rest assured that your Prezzee Gift Card will be received instantly so you can ensure you get your gift just in the nick of time. Plus we have the Prezzee App which is free to download, your recipient is now able to store their voucher online and access it from any smart device exactly when they need it.